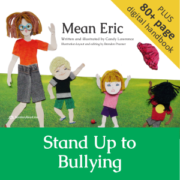 Mean kid Eric is teaching Zac be a bully too – and he hates it. How can Zac escape? 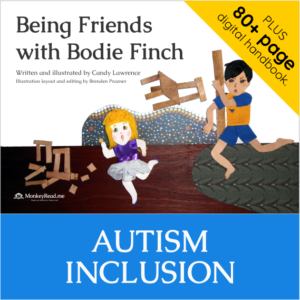 Fortunately his dad has some good ideas, and then at school Zac gets some unexpected help from his new friend Becky. Zac has a problem. 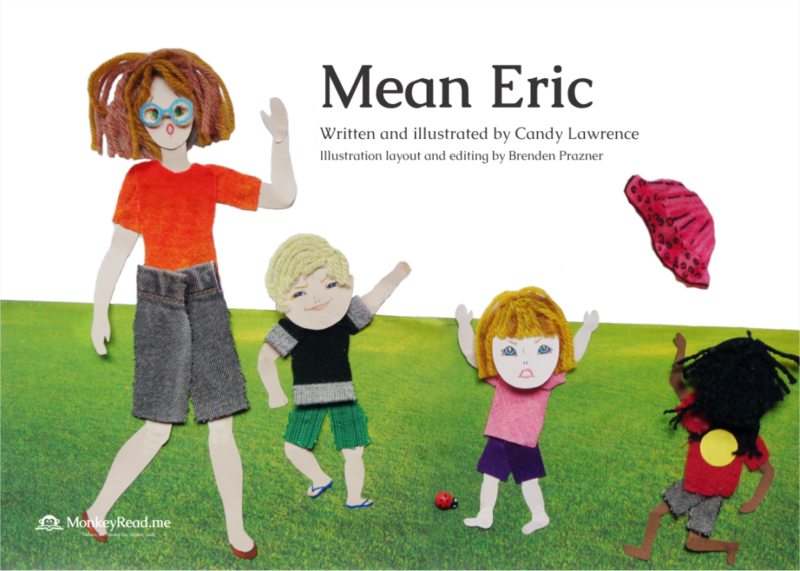 If he doesn’t do whatever Mean Eric tells him, Eric points at his black skin and calls him dirty. But when Zac’s told to pick on his friend Becky, he has to think again. Will he be able to stop himself turning into a mean kid like Eric? Fortunately Zac’s dad is paying attention. He helps Zac take control. It’s scary to stand up to Eric – but when he does, an unexpected ally comes to Zac’s aid. Bullying has become the scourge of our society, and there are no easy answers – but we have to talk about it. 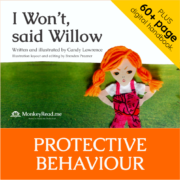 This engaging story written from a child’s perspective helps adults to open a conversation with small children about responding to mean behaviour, building self esteem and being an ally when they see another child being bullied. The accompanying digital handbook gives parents and carers ideas for activities, evidence to support the suggested strategies, research-based advice on responding to bullying incidents and links to further reading. I found the book to be well written and in a way a 7 year old could read the story herself. Having said that my 3-7 year olds all engaged in the story immediately as they could relate to the subject. The story was relatable and written from a child’s perspective. 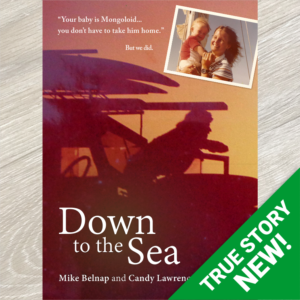 I enjoyed the way this subject was written and the story unfolded. The conversation from the children afterwards showed that the message was clear and offered strategies that they could immediately apply.